You probably already know the stats provided by the Economic Policy Institute’s State of Working America Data Library: White women make about 80 cents to a white man’s dollar. Black women make 65 cents to a white man’s dollar, Native women make just 57 cents. And in case that data wasn’t stark enough, if trends continue as they have been, the American Association of University Women says women aren’t likely to reach pay equity until 2059. We think that isn’t good enough, and in honor of Equal Pay Day, we’ve outlined real, actionable ways to start to close the gender pay gap. Ready to get paid? Here we go. Federal employees’ salaries are public record and searchable online, including whether they receive bonuses. Although people tend to bristle at the idea of their salary being publicly documented, the practice could make it easier for people to ask for the right dollar amount and know sooner if they’re not being paid fairly. Have you ever filled out a job application or been in an interview just to be asked what you made at your current or previous employer? That practice can give hiring managers more room to negotiate your offer down. A few cities, states and territories have already started banning the question, but there’s more work to be done. One reason the wage gap persists, according to research by Henrik Kleven, an economist at Princeton University, may be that women take more time off work to care for children. That’s partly because childcare is prohibitively expensive, sometimes as much or more than a mortgage payment. Finding a way to make childcare affordable could keep more women in the game as well as boost the overall economic wellness of American families. 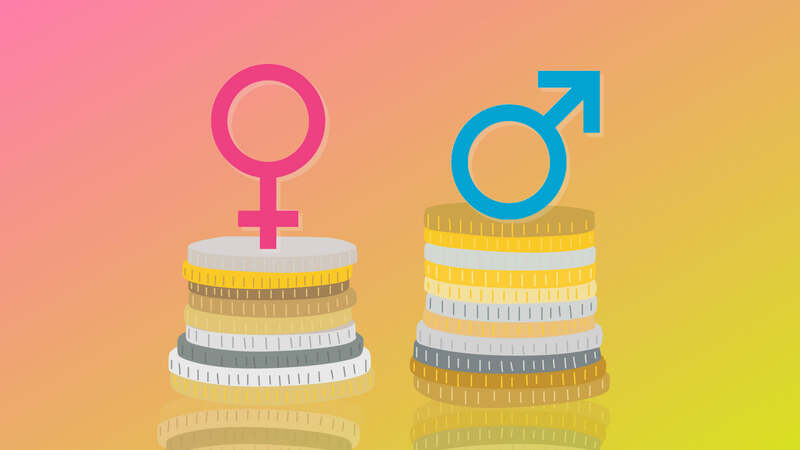 In 2016, California passed a law that requires companies to justify any pay discrepancies between male and female employees who are doing similar work. Rather than relying on employees to make a case for unfair pay rates, the law puts the onus on companies. More laws like this could help even the playing field. Women are more likely to have minimum-wage jobs, says the National Women’s Law Center. Raising the minimum wage — as cities like Seattle, Washington, and San Francisco, California, and states like New York have done — could help put women on better footing. The government has taken significant action to allow employees and contractors to openly discuss their salaries without repercussion. Being honest about what we’re making and having coworkers who are honest in return can help us get a sense of whether we’re being paid fairly. It’s time the U.S. catches up with the rest of the world and mandate family leave — if not on a federal level, then on a state level. According to data compiled on 41 countries by the Organization for Economic Cooperation and Development, the U.S. is the only one that doesn’t have any federal requirements for family leave behind countries like Estonia — which, by the way, offers more than a year and a half of paid leave — Romania, Japan and Korea. Parental leave would allow women to take time off work to care for young children while still having a job to go back to and without taking a serious financial hit. Get familiar with what justifies pay discrimination, and if you feel you have a case, file with the EEOC. If you’re in a leadership position at a company, advocate for flexible work schedules. Flex schedules are attractive to parents with young children and could allow women to stay in the workforce. According to research by the Harvard business review, women are more likely to get vague feedback about what they’re doing well or not well, and it often focuses on their personalities or communication style rather than their work output. Asking for — or if you’re in a management position, providing — regular documented feedback on measurable qualities can help combat unconscious bias and provide evidence for future raises. It’s uncomfortable to ask for more money, but negotiating for a raise or a higher offer at a new job is one way women can increase earnings in their own lives. Legislative actions won’t happen if we don’t consistently organize and put pressure on our local representatives. A version of this article was originally published April 2018.